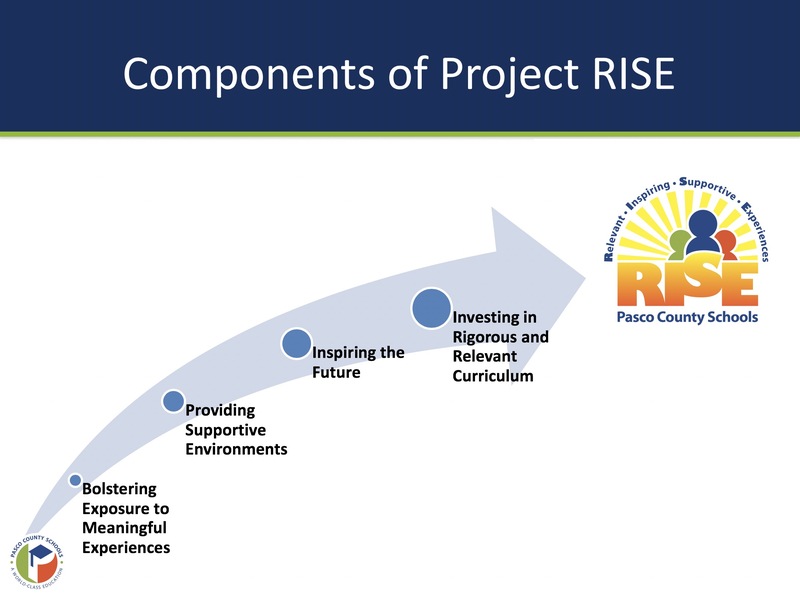 Project RISE started by recognizing that there are still populations of students in the Pasco County school system that are not getting everything they need to truly achieve success in their lives. The superintendent and other key stakeholders then began to identify the most critically needy areas of the county and started working to envision a better tomorrow for the students and community. This area includes six zip codes where the urgency for change speaks loudest and strongest. The schools within these zip codes have experienced an increase in students living in poverty, jumping from 62.8% to 71.5% over the last ten years. These zip codes are: 34667, 34668, 34669, 34652, 34653, 34654, 34655, 34690, and 34691. See the proposed list of impacted schools here. 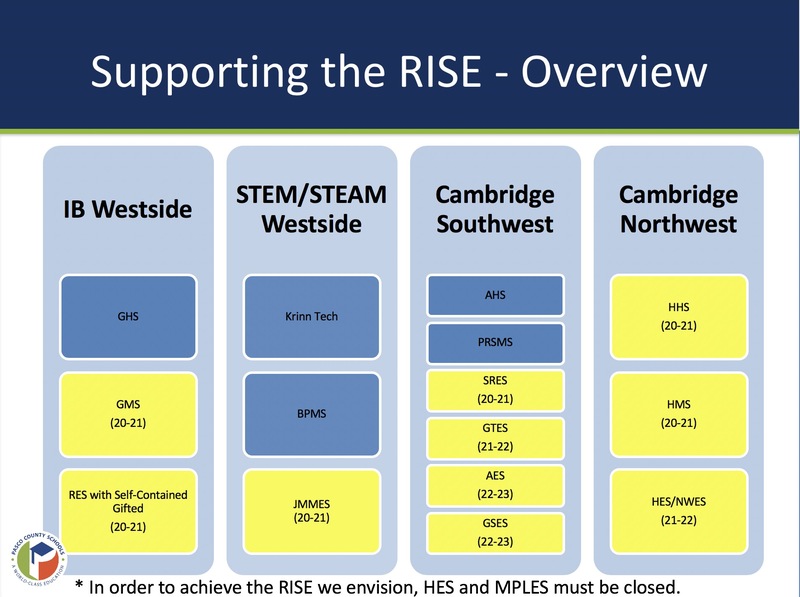 See the foundational components of Project RISE here. We have intentionally planned for Project RISE models from kindergarten through 12th grade. Pending budgets, Project RISE’s first stage won’t happen until 2020. We are taking the time to do this right, so that teachers have time to build their knowledge and be well equipped and supported to help students excel. We strongly believe that Project RISE will positively impact our students, employees, school system as a whole, and our future as a school district. You will be hearing more details about Project RISE early in 2019. 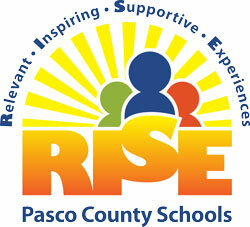 For questions about the impacted schools, innovative programs, or anything else related to Project RISE, please email ProjectRISE@pasco.k12.fl.us.